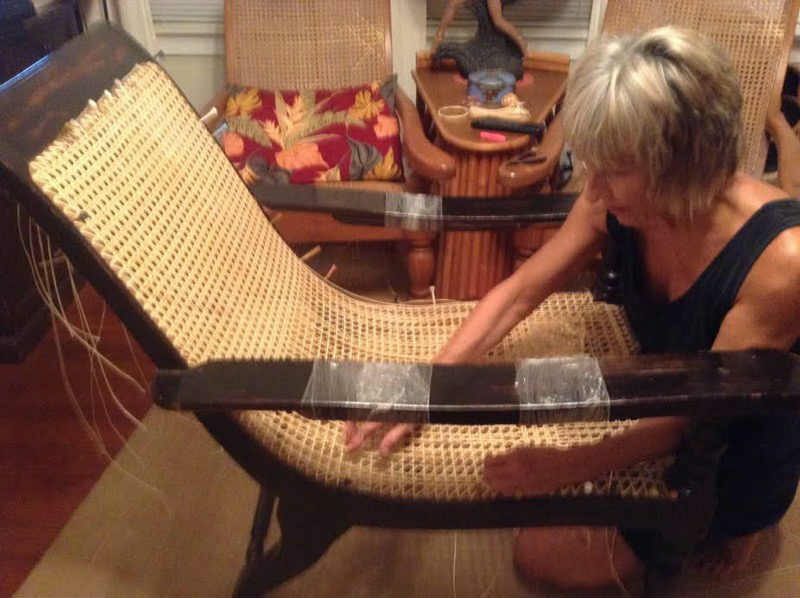 Den of Antiquity specializes in hand, French and insert cane, wicker, natural and fiber rush, splint, Danish cord, bamboo, and rattan furniture restoration. Owner Sandra Rosar, has been weaving for over 45 years and worked at the Colonial Williamsburg Foundation in Williamsburg, VA and has restored pieces for the Smithsonian Institute in Washington, DC. She works on all types of furniture, from antiques to modern, in homes, hotels, offices, restaurants and yachts.